Even the most timeless decor can feel stale after a while. If your apartment needs a quick makeover, don’t worry about buying a new set of furniture or scrapping all your art.Instead, look to the easily replaceable stuff to get the job done. Here are 11 simple design tweaks to make your home look and feel brand new — no major renovations or tedious DIY projects necessary. Curtains are the window equivalent of expertly applied eye makeup. They highlight the view from your windows, add drama, and open up your space. In short, they can completely change the vibe of a room. If your place feels too dark or heavy, switch your curtains to something white and breezy to let the natural light flow in. 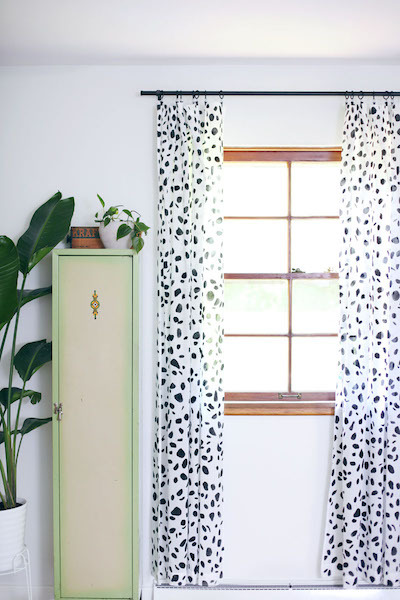 Or, if your living room or bedroom feels stark and boring, hang a pair of fun patterned curtains à la A Beautiful Mess. If you’re not a big fan of curtains blocking your small window, nix ‘em and go bare. Before you groan about the amount of work involved, let’s get this straight: all it takes to move your bed is a helpful friend and 10 minutes of your time. By moving your bed to a different wall, you can totally re-work the layout of your room to create more space. Not only that, but moving your bed is a surefire way to feel like you’ve updated your room without actually doing much. Want to go the extra mile? Here’s how to properly clean your mattress and your bedding for an even fresher look. Trading out your decorative sofa pillows is the easiest way to refresh your home. Don’t be afraid to mix it up — opt for pillows with different colors, patterns, and textures than your old ones. If you want a cleaner, more minimalist look, try a set of pillows in complementary neutral tones. For a bold, eclectic aesthetic, mix in a few graphic and striped pillows in vibrant colors. To up the cozy factor of your living room, swap your plain fabric pillows for some with fur or velvet. Want more ideas on how to create a cozy home? Read our guide on Lagom: the Swedish way of life that seamlessly combines semi-cluttered surroundings and being a full-on minimalist. A set of chic floating shelves has the power to completely transform an ordinary wall. 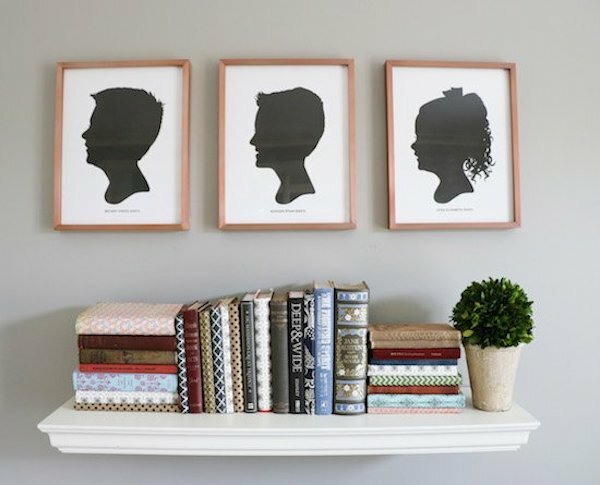 Of course, they’re ideal for storing and displaying your books, dishes, or vinyl records, but they’re also a simple, more functional alternative to regular old framed art. 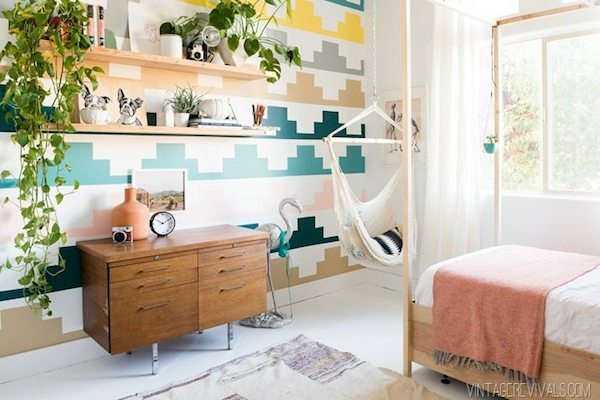 If you’re too scared to paint your entire apartment, pick one wall instead. 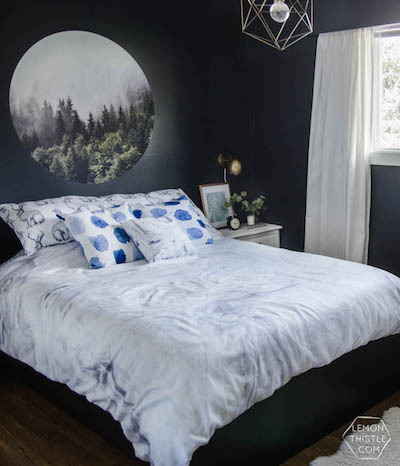 Choose an area of your home that looks lackluster or uninspired, then zero in on the wall your eyes are most naturally drawn to — that’s the wall you want to paint. As for the color, there are endless options. You can stick to a soft, subtle shade or pick a bright hue to contrast with the rest of your space. To make your wall extra eye-catching, try painting a pattern like Vintage Revivals did in the above photo. Liven up your home (figuratively and literally) with some strategically placed greenery. Plants add color and texture to a space, plus they make your home feel more lived-in and approachable. Even better than that is the fact that plants can actually reduce your stress levels (for real). As for where to display your greenery, anywhere works. 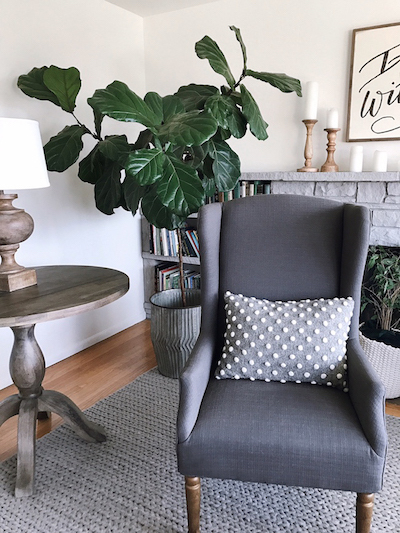 Place succulents on side tables, hang glass terrariums from your kitchen ceiling, and tuck potted fiddle leaf figs or rubber trees in living room corners. The ideal bathroom should be functional enough to store your extra toilet paper and beauty products, but also attractive enough to actually enjoy spending time in (and hopefully make flossing less boring). To spruce up your bathroom decor in two minutes, display a small painting, framed photo, or cool print above the toilet or towel rod. 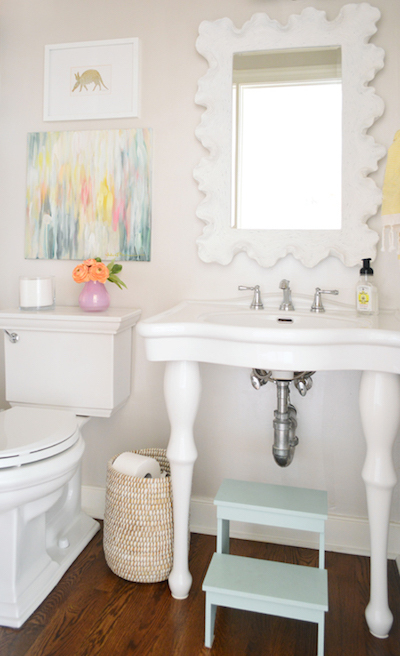 But first, here are 12 extremely easy ways to declutter your bathroom. 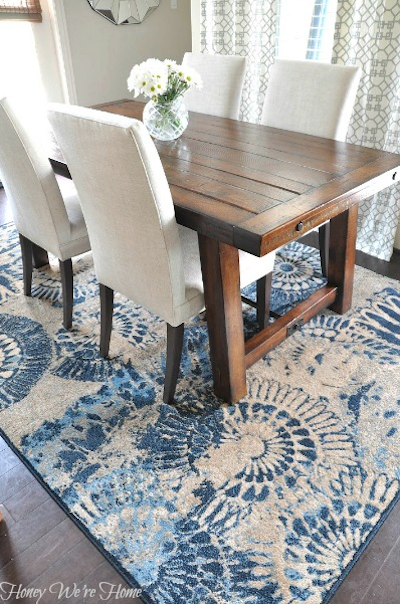 Rugs don’t just anchor a room, they also add depth, texture, and personality to your space. If your living room lacks energy and intrigue, get a rug that has a vivid color or graphic pattern. If, on the other hand, you want to bring more calm to your space, swap out a visually interesting rug for one in a solid earth tone. Don’t forget about kitchens, bathrooms, and long hallways, either — a fresh, cool rug will give these areas new life. If your front door is run-down, faded, or covered in peeling paint, it can inadvertently make the rest of your home look and feel old. 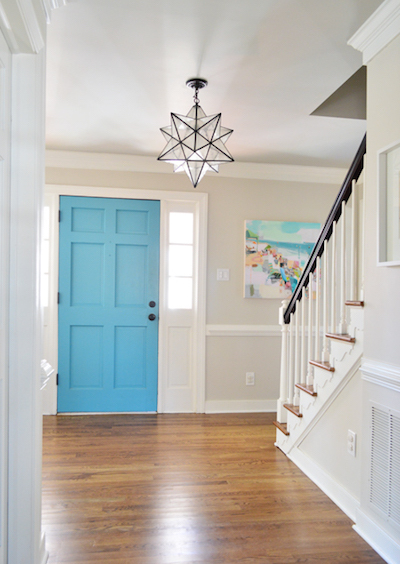 To refresh your entryway, give your front door a new coat of paint. Try bright white, sleek black, a pop of neon, or a cool accent color to bring out the different shades in your decor. 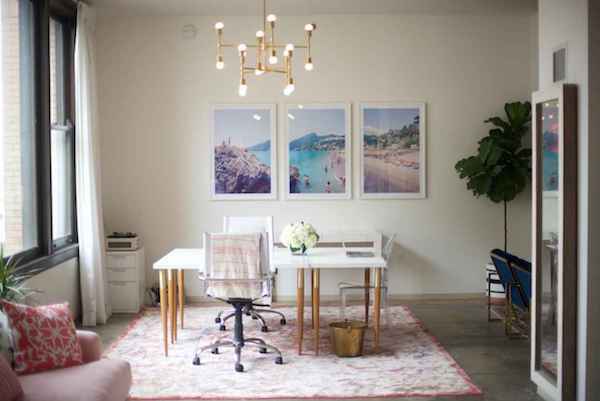 A hanging pendant works for two reasons: 1) it adds light to your space and 2) it makes a cool focal piece. Hang one above your dining table, work area, or entryway. You can even get rid of the ugly fluorescent lights in your bathroom and hang a small, pretty pendant in there instead (the soft, flattering glow will make you smile every time you look in the mirror). The most underrated design trick out there? Decluttering and letting go of the stuff you no longer need. 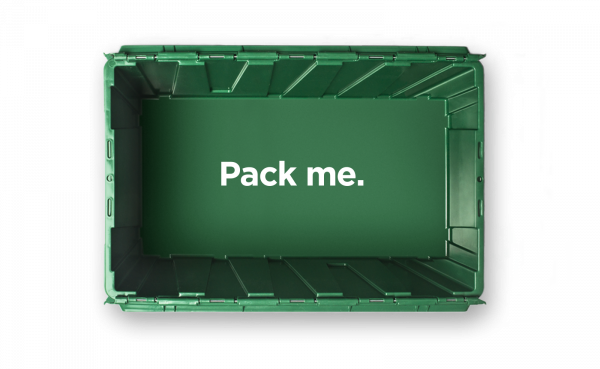 For the things you do keep but don’t have storage space for (like your bike, luggage, or snowboard), use MakeSpace. And when you want something back from storage, just browse the convenient online photo catalog of your stuff and click a button to get it delivered right away.